Here is a selection of links to summaries and vídeos of some of the sessions on Teacher Development (TD) at this year’s IATEFL, followed by my own reports on talks and workshops that have not been summarised elsewhere. 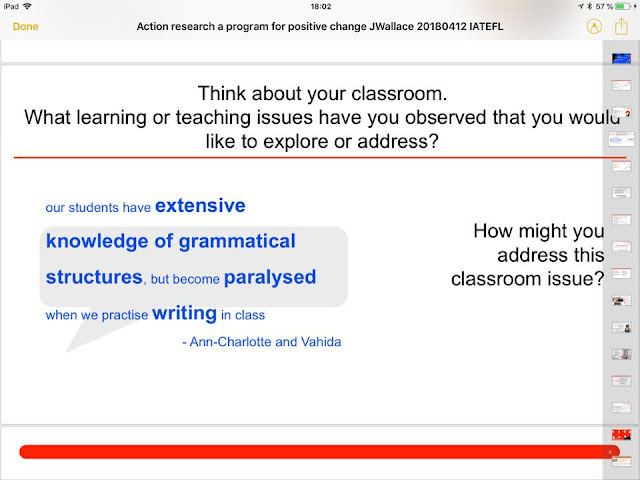 Previously on this blog, I posted on a session by Steve Mann (University of Warwick) on The role of vídeo in teacher training. Here is my summary of a couple of interesting sessions related to TD that I was able to attend. Jennifer Wallace of UTS ( jennifer.wallace@insearch.edu.au ) described a programme of Action Research (AR) amongst the EAP teachers at UTS Insearch, which trains students for entry into the University of Technology Sydney (UTS). Students generally come from East and Southeast Asia. There are over 100 teachers of a wide variety of backgrounds and varying levels of experience. 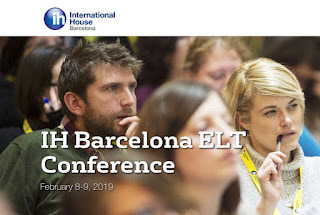 The programme was supported by The English Australia Action Research Program and Cambridge English Assessment, and led by Prof. Anne Burns (Aston University, University of NSW) and Dr Emily Edwards (UTS). The teachers held at least one session between meetings with a mentor (teacher with previous AR experience). 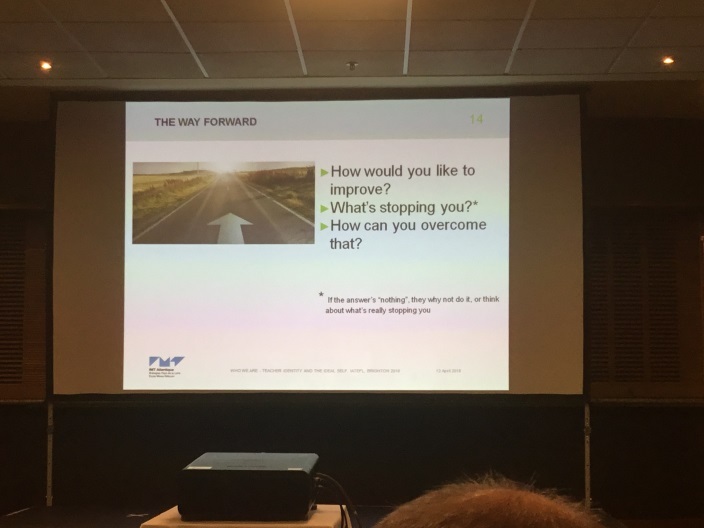 Results were presented to other members of the programme in the final presentation session. 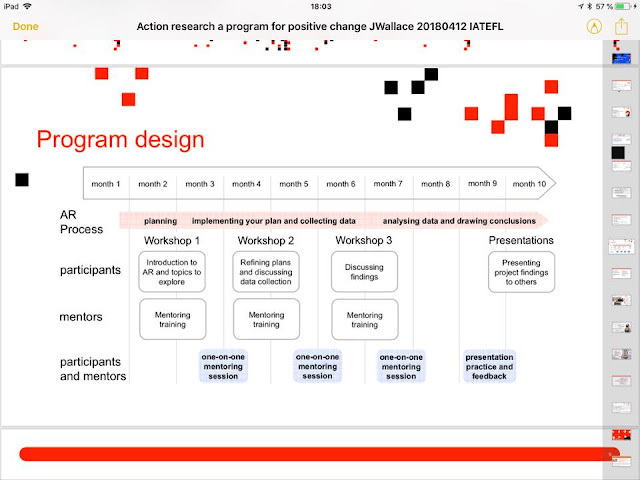 In the talk, AR was defined as teachers (or learners) identifying a problem or puzzle in their classes that they would like to explore or address and working on ways of resolving it through a systematic, cyclical process of developing and applying change in classroom practice, analysing effects through feedback before adjusting and repeating. 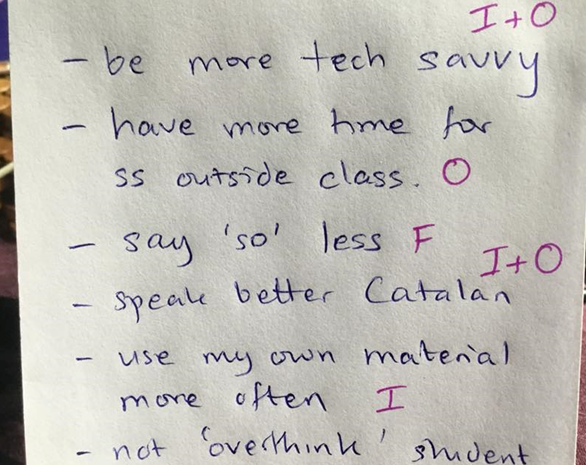 In one example, in the UTS EAP programme, teachers noticed a widespread problem – that students often have in-depth structural knowledge, but lack writing fluency. 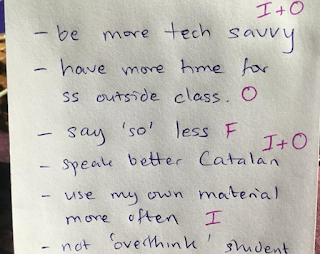 The AR involved asking learners to do 10 minutes of ‘free’ writing every day, to build their confidence and increase risk taking. 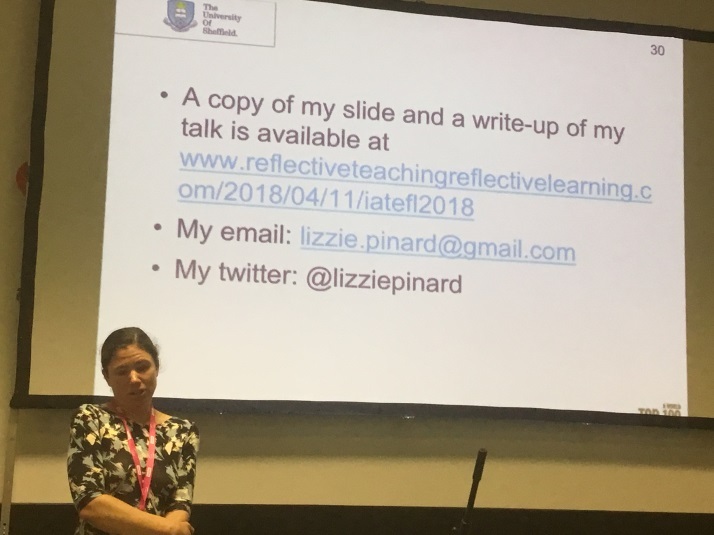 Importantly, Jennifer stressed that although teachers were not paid for the AR programme, time was incorporated into their teaching schedules for the project. The institution provided ‘social support’ in the form of investment, not just financially – but showing that the work is important and valued. 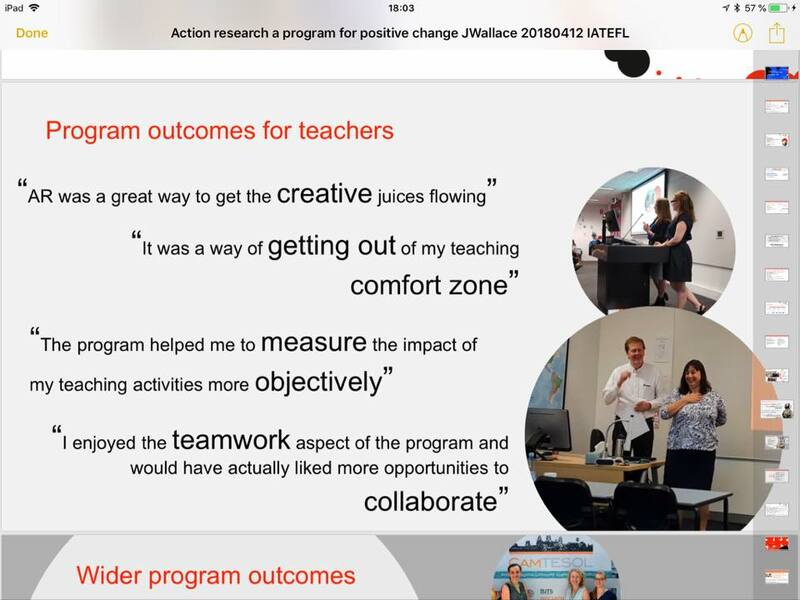 Teachers felt that the AR programme took them out of their comfort zone, and as a result was not always enjoyable at first. Eventually, however, they felt more able to critically evaluate and their use of materials, books, techniques and approaches changed after participation. Perhaps the most important outcome was the opportunity to collaborate with colleagues, and the consequent increase in ‘collegiality’. A knock-on effect is that once teachers had taken part, they could then go on to act as mentors for other teachers. 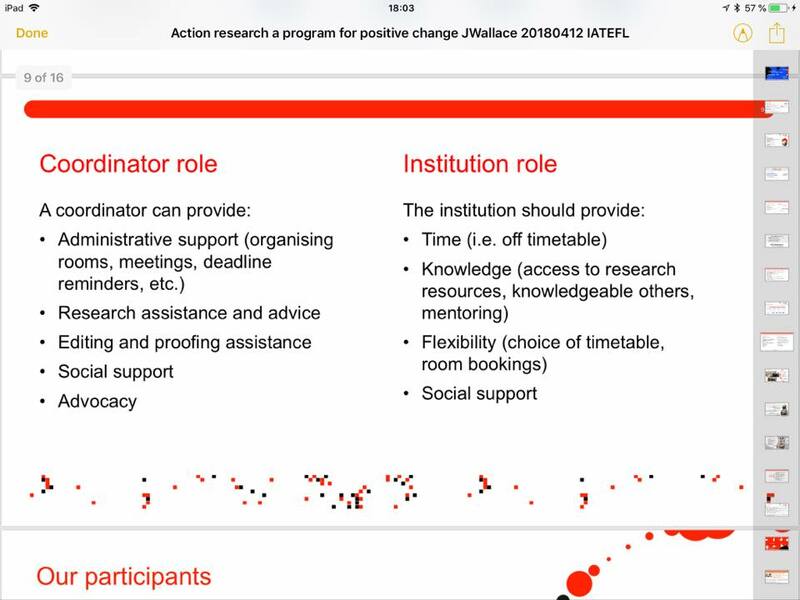 In future, the AR programme at UTS aims to expand into other (overseas) centres; implement decentralised coordination through mentoring; support more collaboration between participants (Borg, 2017) and further integrate the positive impacts of AR into classroom practice (Burns, 2016). Borg, S. (2017). Twelve tips for doing teacher research. 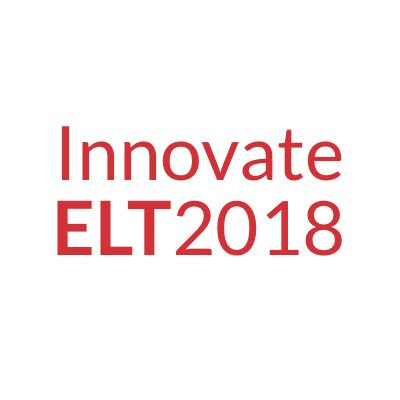 University of Sydney Papers in TESOL, vol. 12, 163-185. Burns, A. (2010). 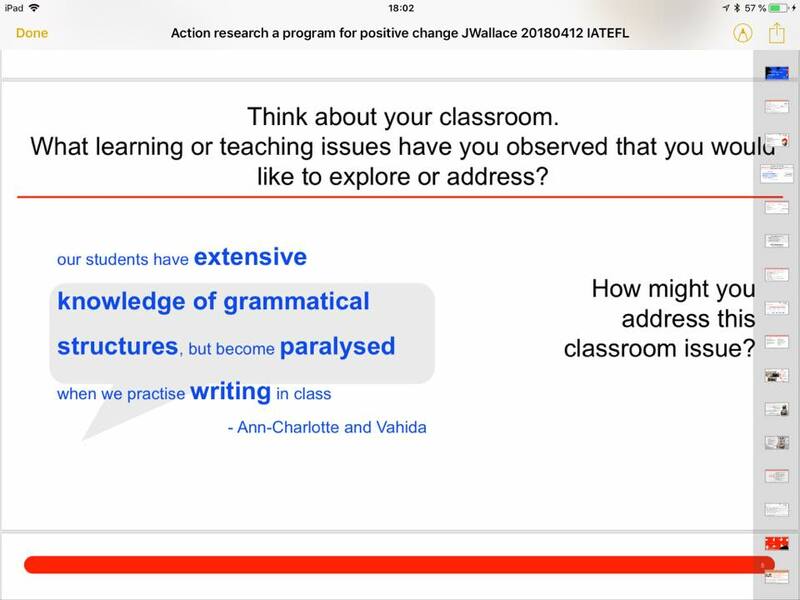 Doing action research in English language teaching: A guide for practitioners. Routledge, New York. Lattimer, H. & Caillier, S. (Eds.) (2015). Surviving and thriving with teacher action research. Peter Lang. Mills, G. E. (2018). 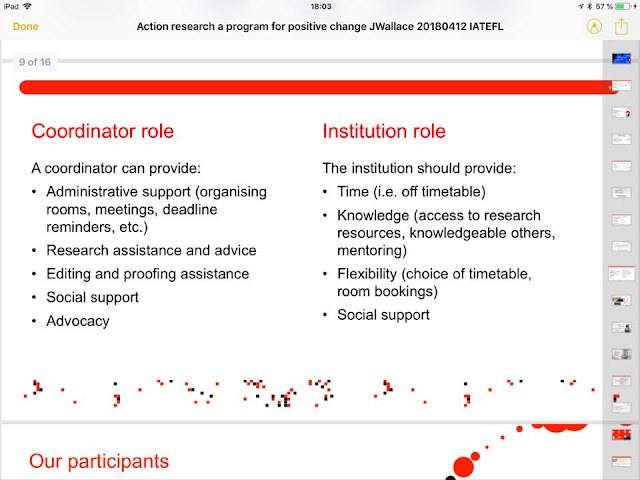 Action research: A guide for the teacher researcher. 6th Edition. Pearson Education, New York. 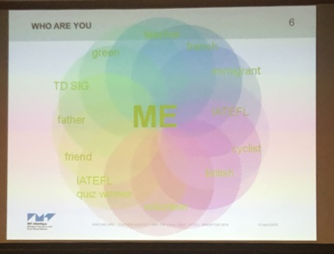 Colin Mackenzie: Who are we – teacher identity and the ideal self. Thursday, 12th April. 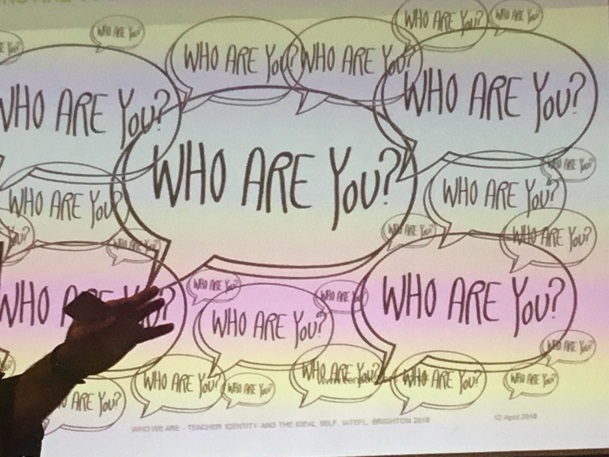 In this workshop, Colin started off with the activity ‘Who are you?’, which he demonstrated with a member of the audience. In pairs, we had to ask each other the question ‘Who are you?’ 20 times, and provide a different answer, without hesitation or error, each time, e.g. - Who are you? 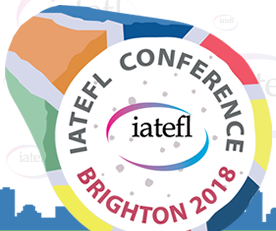 I am an EFL teacher. - Who are you? I am a mother of two daughters. - Who are you? I am a British woman living in Spain…………………etc. This was rather more difficult than it sounds. Apparently, I was reliably informed by my partner during the activity (Charlie from IH Bristol), that this technique was used as a test of mental agility by NASA in the astronaut selection process. It could be easily adapted to use with learners at any level. 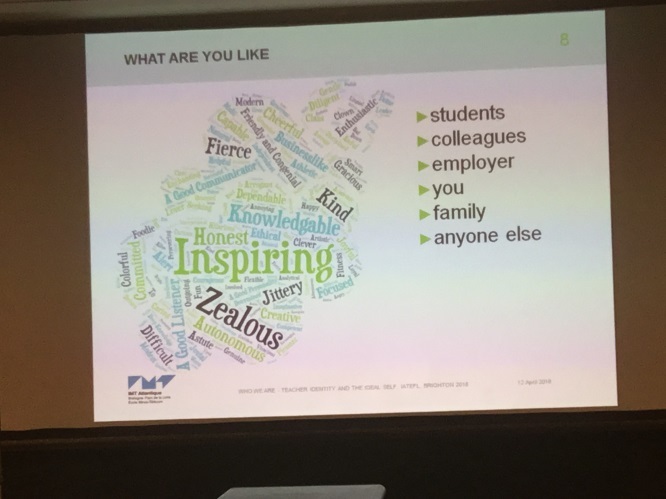 After this general introduction, Colin asked us to describe how we think we are perceived by more specific groups or individuals that we know, leading to a closer examination of our ‘teacher identity’. Possible self theory was first introduced in the 1980s to explain motivation in mainstream psychology (Markus & Nurius, 1986). An individual has múltiple ‘future’ possible selves: The Ideal Self represents what we would like to become; the Ought-to Self represents what significant others believe we should be become and the Feared Self represents what we are afraid of becoming. This led to ‘discrepancy theory’ (Higgins, 1987), when you notice the difference (discrepancy) between what you are at the moment and what you want to become, you are motivated to close that gap. 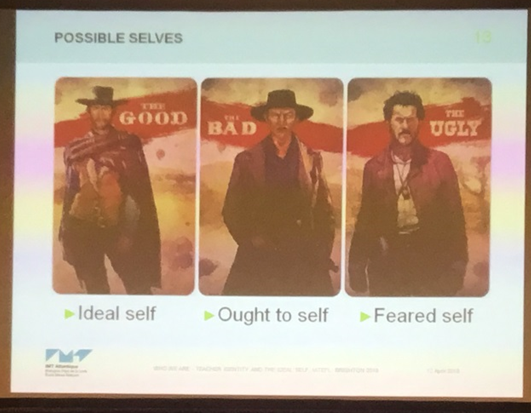 Colin represented teachers’ possible selves with the following slide, although there was some debate whether ‘The Bad’ and ‘The Ugly’ represented the Ought-to or Feared Selves. 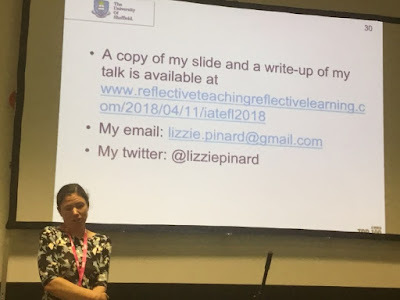 The Good, the Bad and the Ugly: Possible teacher selves? We were then encouraged to discuss possible strategies to achieve (or avoid!) these possible selves (see slide below). Higgins, E. T. (1987). Self Discrepancy: A Theory Relating Self and Affect. Psychological Review, 94 (3), 319-340. Markus, H. R & Nurius, P. (1986). Possible Selves. American Psychologist, 41 (9), 954-969. Thanks for linking to my talks and sharing these ones.